We are a leading company in hygiene services, washroom services and clinical waste disposal throughout Swansea and the surrounding areas. In order to keep you compliant with strict UK legislation we can work closely with your business to ensure that you are providing the appropriate level of hygiene services and duty of care to your staff and visitors for your business premises. Eurocare provide professional hygiene services across the Swansea area. From the disposal of sanitary waste to providing water management systems and washroom services. We can provide a wide range of services that meet the needs of your company. 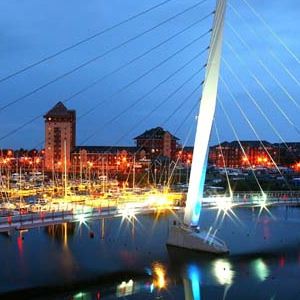 With many years experience in the industry we have built an excellent reputation for providing high quality hygiene services, washroom services and clinical waste disposal throughout Swansea and with many satisfied clients in the area. We work with a variety of different businesses. We are committed to ensuring that your business is fully compliant with UK law regarding clinical and sanitary waste disposal. Business owners have a legal requirement and duty of care to their staff and visitors to ensure that they are providing the appropriate level of hygiene services. Eurogroup can work with your business to make sure that you are fully compliant with all the legal requirements and that all the relevant waste management documentation is supplied. As well as clinical and sanitary waste disposal services we can also help you with areas such as water management systems, air freshener units, baby changing facilities and washroom vending. Water management systems in men’s urinals will save both water and money by being programmed to flush at appropriate times in the day. This is an environmentally friendly option which is popular with many companies. We can also provide your commercial premises with baby changing facilities to ensure that parents and carers needs are catered for. Washroom vending services are another service we offer to supply your washrooms with appropriate products that can be bought discreetly. Eurogroup have helped several clients in the Swansea area with their hygiene service needs. If you are based in or around areas such as Port Talbot, Neath, Dunvant, Bishopston, Gorseinon, Clydach and Birchgrove and need help with hygiene services or washroom services we can help. Our service is : – Professional. Discreet. & Environmentally friendly. Please contact us on 02920 868961 and speak to one of our helpful team.